One of the decisions that a homeowner might be faced with when moving is this: sell the home, or rent it out? Even if you aren’t facing that decision, you might be interested in getting started in owning an investment property so that you can develop a regular source of income. In either case, you to figure out whether you want to manage the property yourself, or hire a rental property management company to do it for you. It’s true that many people do just fine managing their own properties. They collect the rent, arrange for maintenance and repairs for the property, and deal with any problems that crop up. For some people, being a landlord isn’t a problem. You have multiple properties: For some people, keeping it all straight is a problem. If you have multiple properties, it might make sense to hire a company equipped to manage multiple properties to take care of this for you. You don’t live locally: For some, living far away from the property they own is a problem. How do you handle problems if you aren’t there? What about if you go on vacation, or move out of the country? A rental property management company can collect rent, and arrange repairs, even when you aren’t around. You don’t want the hassle: Managing a rental property is about more than calling the plumber when the pipes break and collecting the rent. You also need to see to regular maintenance, as well as find new tenants when old tenants move out. That starts to be a lot of work. If you don’t want the hassle involved, even if you only have one property and live locally, it can be worth it to hire a rental property management company to help out. If you want to invest in rental property, but don’t want to be responsible for the mundane, consider hiring a rental property management company to help you out. But, before you entrust your rental property (or properties) to such a company, make sure you do your homework. Shop around: As always, it’s a good idea to shop around. Compare rates, and get multiple bids. Make sure that you are clear about what you want done with your properties. Additionally, get detailed (in writing) information about services that are provided. Be sure you are comparing apples to apples. Get references and check reviews: Be sure that you check references. Find out what other rental properties are managed by the company, and talk to owners. You can also talk to tenants to find out what it’s like from that standpoint to work with the company. It’s also possible to check reviews, and check the Better Business Bureau for information about the company. Do your homework and make sure you are working with a reputable and experienced company. Look at the working hours: The last think you want, once you turn over the management of your properties to someone else, is a call on the weekend because an emergency came up and the rental company is only “open” Monday through Friday. Find out what each company has arranged for weekends, holidays, and off-hours emergencies. Even if there isn’t someone at the office all the time, there should be some sort of response availability, such as an evenings and weekends/holidays number. Double check the contract: You will sign a contract with the rental property management company, and you want to make sure you know the terms. One of the most important areas of fine print is the cancellation policy. You might need to provide notice to avoid an extra charge, or there might be an early cancellation fee. Understand all the terms of the contract before you sign. Do you feel comfortable with the company? : Go in and meet the company owner and other key people. Do you feel comfortable? Are you treated with respect and courtesy? Do you think that the company will treat your tenants with the same respect? Also, ask how the company has dealt with difficult decisions in the past. You want to be comfortable with the way the rental property management company handles late and missed payments, evictions, and property damage before you sign on. 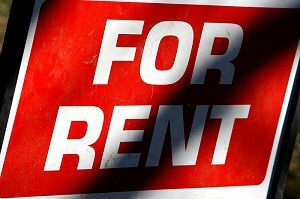 With a little careful homework, and some thought, it should be possible to get a rental property management company that works on your behalf to keep your rental income coming smoothly. Just a quick question. Approximately how much do rental companies charge? Do they charge a percentage of fees, or a fixed fee? This is a very helpful article. However, while I am reading through the post, I feel like looking for a property management company is as stressful as renting out a property. There are a lot of factors to consider, just like when talking to a prospective tenant. You need to assess if they will take care of your home as if it were their own.